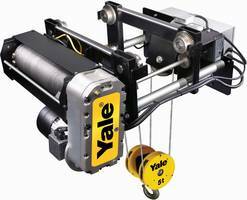 Wire Rope Hoists offer lifts up to 60 ft.
Wire Rope Hoists are available in Yale Global King and Shaw-Box World series. Units come with block-operated upper control circuit limit switch. Products are offered in capacities ranging from one to 20 tons. CM Tornado 360° Ratchet Lever Hoist meets ASME B30.21 standard. 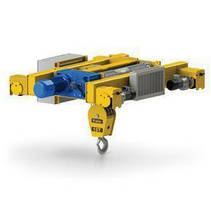 CM Tornado 360° Ratchet Lever Hoist is available 3 and 6 ton capacities. Unit is equipped with sidewinder lever handle. Offering lifts up to 20 feet, product’s handle features a 360‐degree rotating lever. CM Tornado 360° Hoist features Sidewinder lever handle. Wire Rope Hoist targets facilities with space limitations. 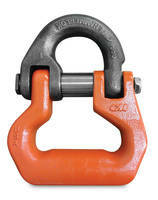 Forged Rigging Hooks are rated for capacities up to 60 tons.